After another good week counting calories and Weight Watchers Pro Points I finally hit my first stone loss. I actually reached the goal on Monday. My first stone loss in 19 days of being on the diet really is not bad at all, I am in fact quite proud of my achievement. I have only previously known losses like this by drinking 3 shakes a day on Total Food Replacement diets. The fact that I can still eat Wispa bars is a huge bonus! With the freezing cold weather outside, coupled with the fact that I am 30 this week, I have decided to treat myself over the weekend. It’s not as if I turn 30 every week so I am allowing myself off the leash, hopefully without the guilt trip that usually comes with eating something you know you shouldn’t. I am really enjoying my lunchtime wrap, every day I do have the same and I am sure at some point it will become boring, though it is something I look forward to. A simple WW wrap, filled with 3 slices of wafer thin ham, 1 slice of WW sliced cheese, lettuce leaves, 3 x cherry tomatoes, cucumber slices and red onion all for 5 Pro Points and roughly 250 calories. It easily allows for a pack of the WW cheesy puffs (2 Pro Points) or a WW Caramel Wafer Bar (2 Pro Points) to keep me going until lunch time. Whilst the Weight Watchers foods are still on offer in Tesco I have stocked up, much to the horror of my freezer! Liv has a penchant for my WW Chocolate Brownie desserts – I am glad she loves them, though she is one lucky lady as I do not tend to share yummy food! How am I feeling after being on the diet for 3 weeks? I am actually feeling more positive every day, I am certainly exercising more and even took the time out to walk to school in the snow the other day and drag Liv all the way back on a sledge. Shovelling snow has been a great form of exercise this past week as I have found that no sooner have I cleared my drive and part of the close, than it is covered again… typical! Roll on next week… I would love to move down into my next stone category so will carry on with exactly what I have been doing. 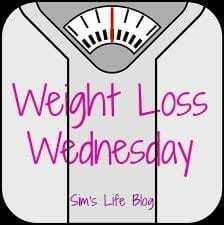 Weight Loss Wednesday Linky: Happy Hump Day! My Race For Life Journey – I Smashed It! WEll done! 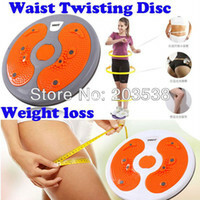 I’m doing Weightwatchers too but I’ve been yoyoing around the same weight for about a year now!! I have added a link hun…. Your blinking linky still ain’t working… Hmmm… Never mind, here’s my latest weight loss post! 30 really is a great age – you are going to love it! Glad you are seeing positive results already too. Congratualtions and well done on losing that first stone. I’m behind you – I’ve lost just over half a stone so far – but I’m feeling really positive about it all. I’ve just popped over to say hello from Pink Oddy’s Motivational Monday.